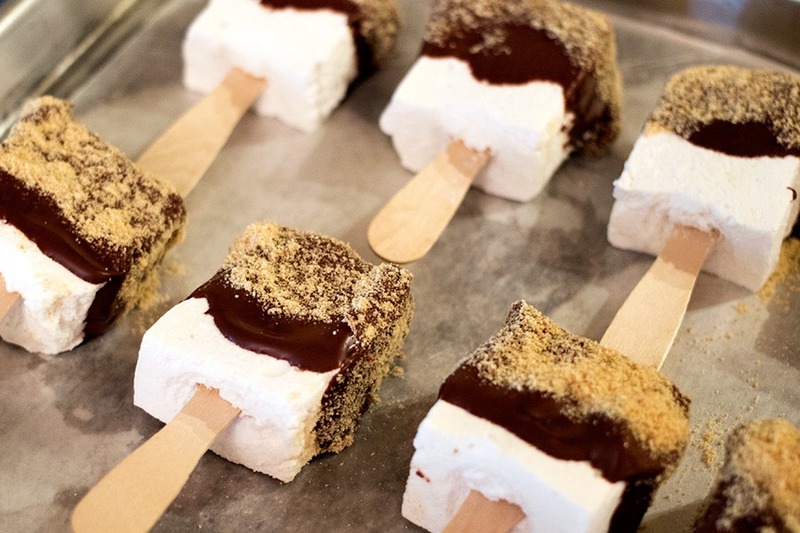 Stick your stick about half way up it to the center of the marshmallow and dip half way in chocolate. crush your graham crackers until in a fine powder. Sprinkle half way over your chocolate and that's it! serve!